Before we know it, the summer nears its end and school is just around the corner. As a parent, we want to make sure we are setting the up to have their best school year ever. But just buying them new school supplies and fashionable threads are not going to cut it. Being organized is essential to getting better grades. When your kids are organized, they can anticipate due date’s better, focus better and be an all-around better student. 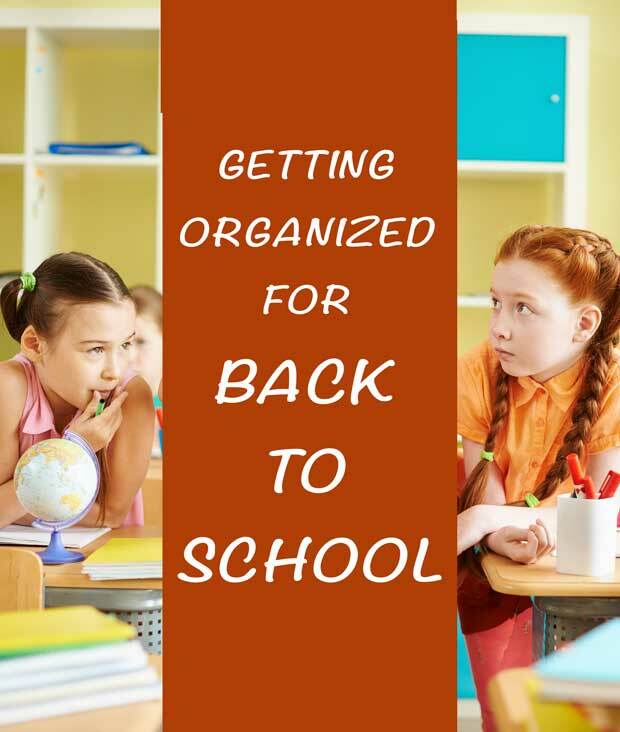 Here are some tips on how you can help them get organized for back to school. Before school starts, there are so many things you need to get completed. 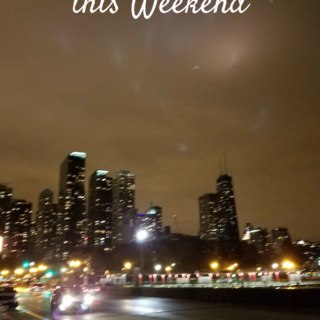 From doctor’s appointments, renewing kids for sports or after school activities as well as sorting through clothing to see what fits and what doesn’t, there is a lot to get done! The best way to tackle this is to start a list and start as far in advance as you can. Schedule each week before school begins with a task list that needs to be completed before the weekends. One of the biggest time stealers in the mornings is trying to decide what your kids are going to wear for school. They will complain, “I have nothing to wear!” as they pull shirts and pants all over the floor. The best way to fix this problem is on Sunday take the time to pick out their outfits throughout the week. Have everything laid out down to their socks, underwear and hair accessories? You can place a hanging six compartment sweater bag and label each section a day. Every morning your children can just pick up and put on their outfits already chosen for the day. No thinking needed! 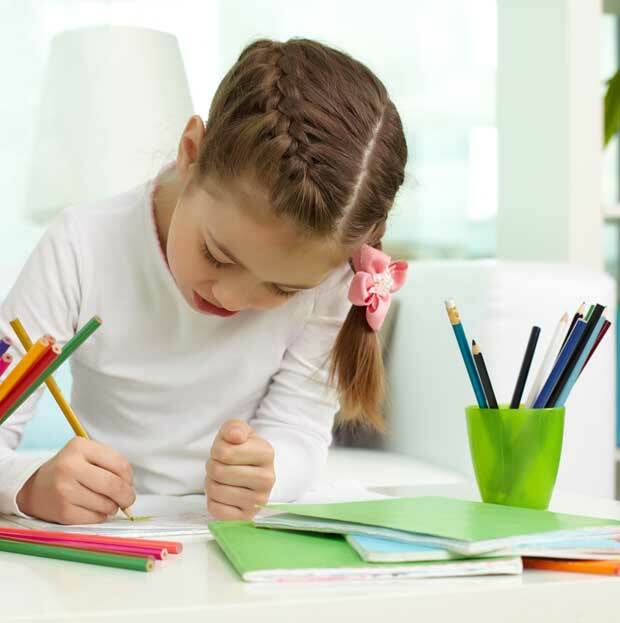 Before your kids go back to school, organize a homework station in your home. Creating a space where your kids can focus on their work without distraction will help them get the best grades ever. Make sure that this area has all the supplies that they will need such as pencils, staplers, calculators, etc.… at their fingertips. You can put an over the door shoe organizer and label each pocket with school supplies. It is also nice to have a small snack station too. Instituting a no phone rule and having them put it in a basket will help eliminate distraction when they are trying to focus on studying. Want to make sure your kids are ready for school the next day? Have a dry erase board that they can check off every night before they go to bed. This will help keep them accountable to make sure that everything is completed and ready for the next day. The checklist can include: homework done? Backpack ready? Clothes picked out? Reading minutes? Practice piano? This list makes sure that they don’t miss a thing. Have multiple children? Things can get confusing as to what belongs to whom, whose homework belongs to whom or who does this take home sheet that needs to be signed belong to? 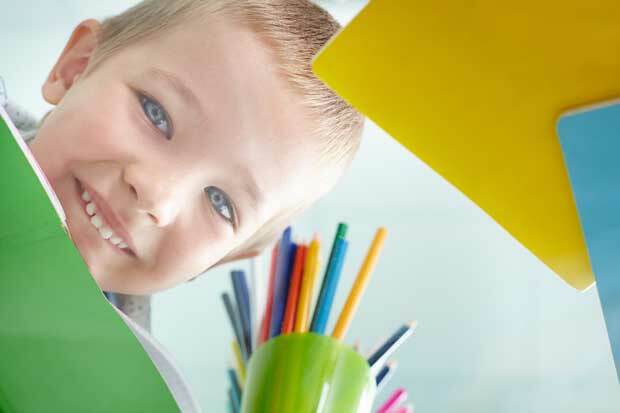 To help keep not only your kids organized, but yourself, assigning colors to each child will help keep items straight. Everyone can have their color lunch box, backpack and folder where they can put things that need to be signed. That way there are no mix-ups and no one is going to school with the wrong homework. Create a snack station. When you are running from one activity to the next, you don’t have time rummage through the pantry or refrigerator looking for snacks. 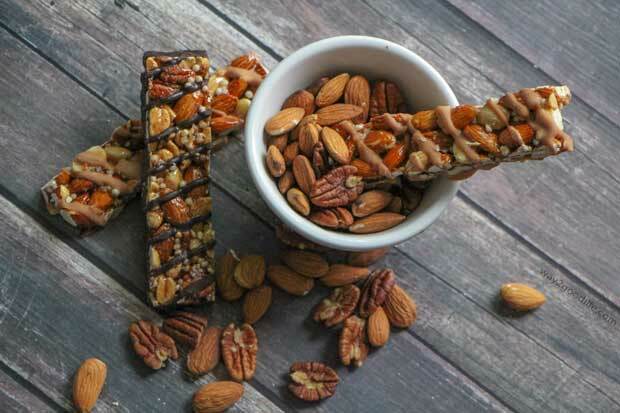 Creating a snack station will allow you to have everything at your fingertips and ready to go. Keep a tray of individual sized portions of food that each of your kids can snack on. Not only is this super helpful, but is also an excellent way to make sure they are eating healthy snacks. Incorporating the snack station idea into a lunch station is a very good idea as well. This keeps everything that you need to put in your lunches in one area. Have a drawer that contains your plastic ware, plastic bags, lunch bags as well as the apple and sandwich cutters. It is also nice to keep all the other foods such as fruit snacks, applesauce or anything else you put in their lunches in one area too. This will help to make sure that your kids don’t use them to snack on leaving you without anything to pack without you realizing it. What about all that paperwork? Every parent knows that once school begins, it may feel like you are swimming a sea of papers. documents. Between everything that they take home and want you to hang on the refrigerator as well as all those informative articles and papers that need to be signed, it can be overwhelming. Purchase a file box per child and file folders to help keep everything safe and organized. Create a label with the child’s picture including information such as what grade they are in, which teacher they have and school they are attending. You can keep all the papers you want to keep in an organized area while sorting through the important stuff and the papers you can just toss. This will help keep backpacks cleaned as well as your kitchen countertops. I am totally dreading that mountain of paperwork that is going to come home on the first day with my kids. Shouldn’t it all be digital by now? LOL. My sister has all four kids going to school this year. I will definitely send this her way as you have really good tips. It’s so important to have a well oiled machine when school rolls around. If you don’t you’re looking at major grief. Organization and school! HA! I didn’t even know that existed! We could use some of this on our house, where chaos reigns supreme! We start school next week. Eek! I really need to get organized, so your tips are perfect timing. Start prepping now! Trust me, it’s no fun trying to scramble the night before. Go shopping for all your school stuff as early as you can so it’s out of the way and you can enjoy the rest of summer. We homeschool, so we have to be organized or it is chaos. I do prepare a lot of things the night before so we can hit the ground running in the morning. Great suggestions. We start our new homeschool year next week, I am doing last minute preparations now! Teaching kids to be organized at a young age can have huge payoffs in the future as well! I loved your idea of setting up a homework station as well as a snack station. 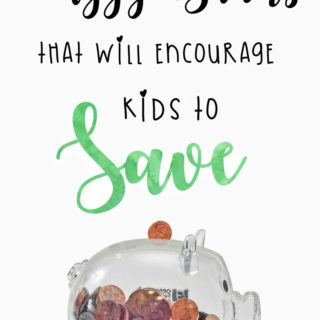 This is something that could help both me and the kiddos! A homework station is a great idea. I will have to organize everything the kids might need for doing homework. This year i have two kids in College. A homework area would be great. I am sure there will be a ton of projects to do. I used to hate doing homework when the kids were in school. I wish i would have thought of having a homework station for them. They always sat at the dinning room table. My kids start on Monday and I am so not ready! I’m not ready for summer to end! we always do well with picking out clothes the night before, we have a homework station already set up. But the making sure everything is packed in the backpack the night before is where we always trip up. Then it is scramble time in the morning. We are going to try to do better at that this year. These will definitely get you off to a good start. I need to do some organization myself. Getting organized is something that I’ve been putting off. I need to start doing it, NOW. I am not totally ready for back to school. I am going to have to find ways to keep my son really busy! I am still unorganized and school started today! I need to get it together! This time of year makes me SOOOOOOO HAPPY because I am NO LONGER IN SCHOOL! hahahahahahaha! I hated school and always could not wait to be COMPLETELY DONE with it, and now, I have been out of school for like 7 years! LOL!